1. Click on the Start Button at the bottom left of the screen and click "File Explorer"
2. On that screen you will see File, Home, Share and View. Click on the View tab. When you click on the View tab, a button on the top right says "Options". Click on that button. 3. Under the Folder Options Dialog box click on the "View Tab"
5. Click OK. 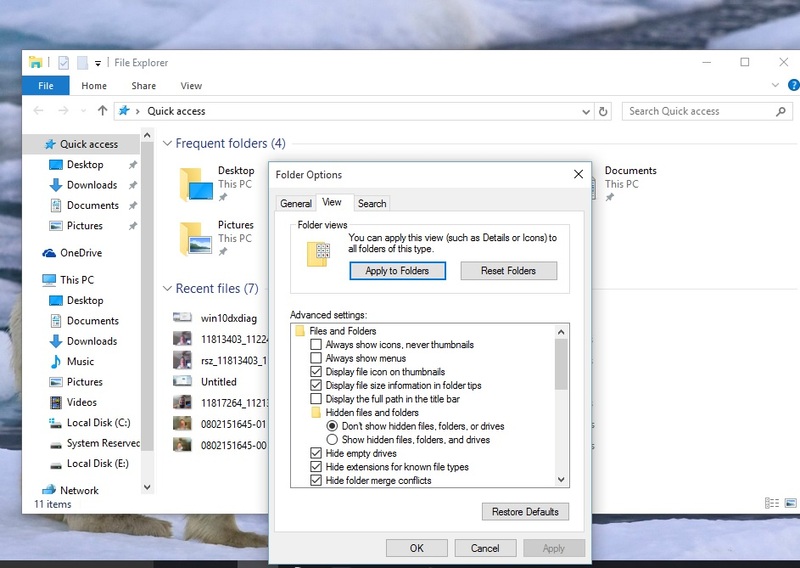 The hidden files and folders should be visible now. Continue to follow the directions our technical support staff give you and navigate to the folders as required in the support email.